I waved goodbye–we were too sweaty for a hug—and I smiled at her parting comment as I walked down the stairs. It was an unusual rainy day in Abilene, so I sought cover for a walk in the recreation center when I crossed paths with a friend who had the same idea. We hadn’t seen each other in a while, so we walked together and talked while we lapped the small track. Her parting comment stuck with me because the truth is, I hardly said a single thing as we walked and “talked”. She talked. I listened. The whole time. I guess that’s what made me fun to talk with–that I actually didn’t talk. I asked a few clarifying questions, but other than that I simply listened. Just last week I was on the other side of the conversation when I met with a friend and mentor. We sat on her back patio with a cup of hot tea, hoping it would hurry the arrival of cooler fall days. This time I talked. She listened. The whole time. It’s a rare gift when someone listens with undivided attention. 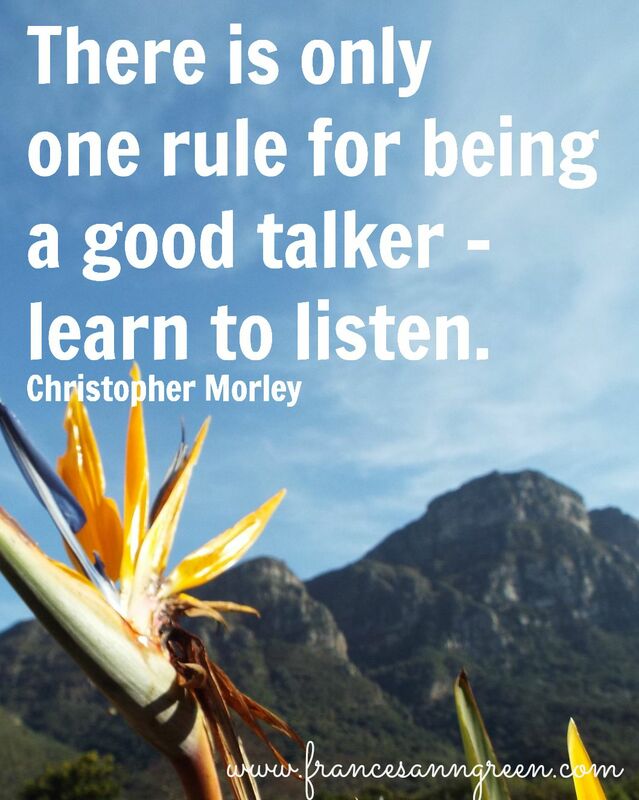 We think that a good communicator is a good talker. Truth is, a good talker may not need to talk much after all. Distractions —the cell phone, TV, other people, our own problems and tangled thoughts. Our ego— it makes us think about what to say next instead of focusing on what the other person says. The ego drives us to match their story with one of our own stories–with a little more grandeur. And it shifts our focus to fix the person’s problem instead of listening to their problem. 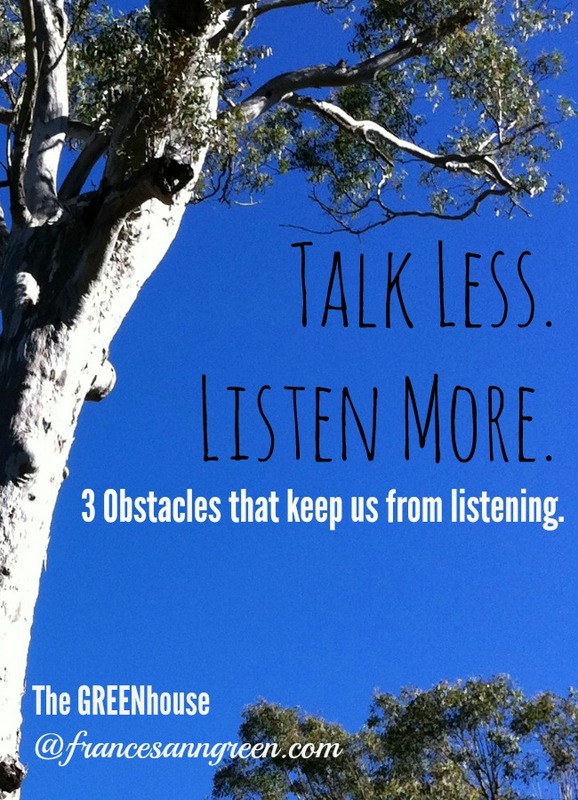 Lack of time—when there’s no margin in the schedule, there’s no time for deep listening. We interrupt to wrap up a conversation or to cut a long story short when we’re in a rush or we think we have more important things to do. Make time in the schedule. Try it in your family, with your friends, in your ministry, or in the office. It can make a family meal, a day on the job or a spontaneous walk on the trail more meaningful. Give the gift of your attention to the people around you. 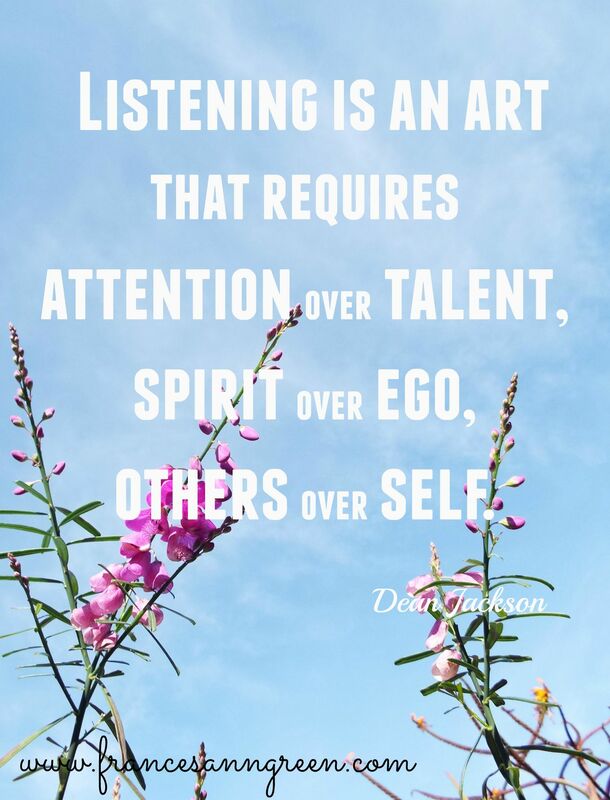 Leave a comment about tips that help you be a better listener. Linking up this week with Grace and Truth. Yep. How much better we would understand one another if we bothered to shut our mouths a little more. I am often very guilty – exactly as charged! I think most of us are! Thank you for sharing your nuggets of wisdom. Thank you for this important message. I appreciate how God has grown me in listening as well. Thanks for sharing this with us at Grace & Truth! Thanks. I’m glad it was encouraging to you. I’ll try to use the pin it button next time to see if that helps.